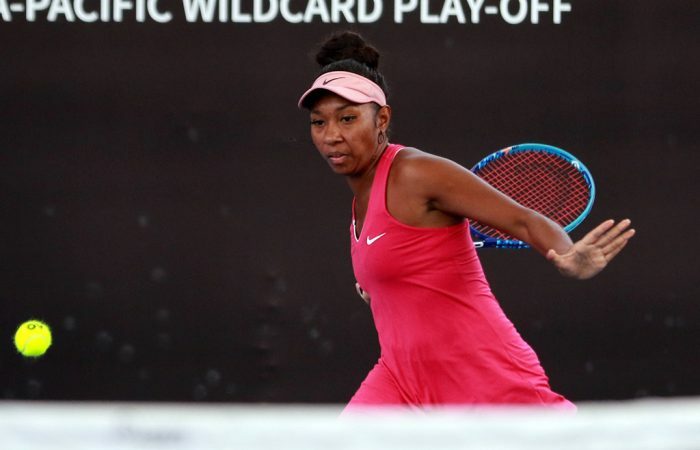 It will be an unlikely women's final at the Asia-Pacific Wildcard Play-off in Zhuhai, as Chinese teen Xinyu Wang and Papua New Guinea's Abigail Tere-Apisah square off for an Australian Open wildcard. Chinese 16 year-old Xinyu Wang upset top seed and former No.30 Misaki Doi of Japan to reach women’s singles final at the Australian Open Asia-Pacific Wildcard Play-off in Zhuhai. Wang lost the opening set in just 26 mins – “I was kind of baffled,” she reflected – with Doi in total control; the variety of her game made it difficult for Wang to read. But the young Chinese showed some fearlessness to attack Doi’s serve later on, and quickly turned the tables. After two early breaks in the second set Wang levelled with a forehand swinging volley in the 10th game. Both players fought hard in the deciding set; Wang saved a break point with a courageous forehand cross court winner before she took the lead in the 7th game, and broke Doi again to seal a 1-6 6-4 6-3. 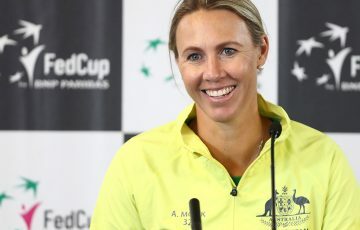 “I’m very excited I could make into the final,” she said. 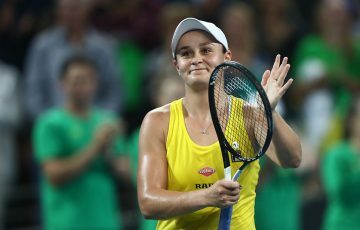 If Wang wins the main draw wildcard on Sunday, she could become one of the youngest and lowest ranked (No.763 this week) to play in Melbourne next year. Her opponent in the final will be Abigail Tere-Apisah, who continued her dream run this week after crushing an ailing Jing-Jing Lu 6-1 6-1 in less than one hour. “I’m extremely happy, I’m still try to process it,” Tere-Apisah said with a huge smile on her face. Tere-Apisah is now one match away to become the first player from Papua New Guinea to compete at a Grand Slam. Wang has never seen Tere-Apisah play before; the only way to collect some knowledge is to do some internet research. 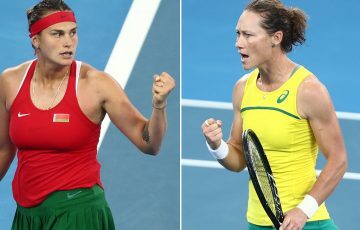 “She must feel confident too after winning matches, so it’s definitely going to be a tough one,” Wang said. 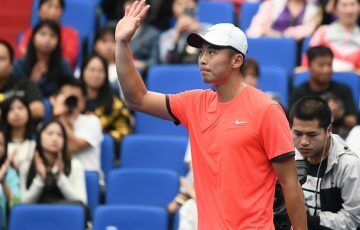 Meanwhile, 31 year-old Zhe Li from China booked his spot in the men’s singles by overcoming his countryman Zhizhen Zhang 4-6 6-4 6-4. 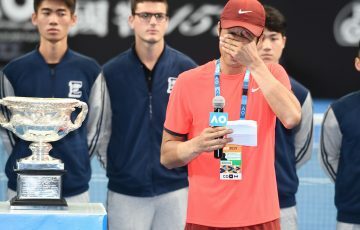 For Li, this is his second chance to try to win a wildcard to play the Australian Open main draw; he lost the final in 2014 against Ze Zhang. 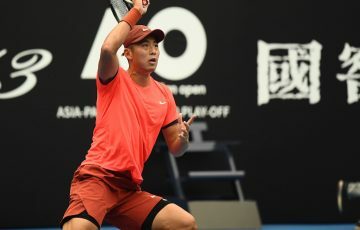 Li’s final hurdle to achieve his life dream will come in the form of Soon Woo Kwon, the South Korean No.1 seed who played his best match so far on his 20th birthday; he cruised to a 6-1 6-1 victory over Hiroki Moriya from Japan. In their only previous meeting, Kwon beat Li in straight sets this year in Yokohama at an ATP challenger. The top-seeded Ratiwatana brothers from Thailand claimed an Australian Open men’s doubles wildcard after beating Jeevan Nedunchezhiyan from India and Christopher Rungkat from Indonesia 7-6(6) 6-3. The Chinese teenage duo of Xinyu Jiang and Qianhui Tang prevailed in the super tiebreak against Japanese pair Junri Namigata and Riko Sawayanagi, winning 2-6 6-0 [10-4] to grab a women’s doubles wildcard. Qianhui Tang also won the girls’ singles event to earn an Australian Open junior wildcard, as did boy’s singles champion Linang Xiao.